As we have said many times, we very much like cats, we consider them very sweet and funny. But raccoons are loved by us no less than cats. Despite the fact that these creatures always like to steal something (they even have masks like real bandits), and they do not bring any practical benefit to a human, we still love them very much. So, we start the lesson about how to draw a raccoon. 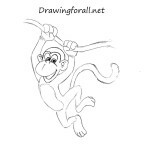 All drawing lessons about mammals are very similar to each other at the first steps. Sketch out the head, thorax and pelvis in the form of ovals. 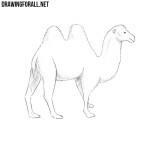 The spine, tail, arms and legs are drawn in the form of ordinary lines. Connect the circles of the chest and pelvis, and create the shape of the torso. Next, outline a small round muzzle and a line for the eyes. At the end of the step sketch out the legs and tail of the raccoon. 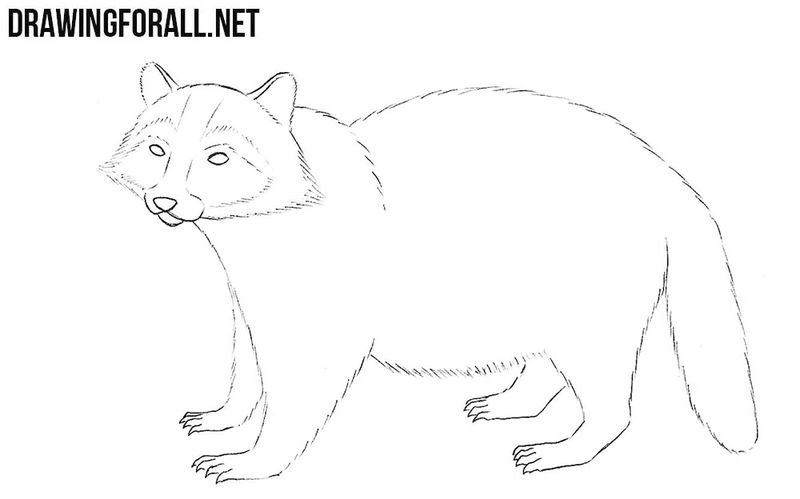 Here we work with the basic details on the head of raccoon. Using the line for the eyes, we draw the eyes themselves. 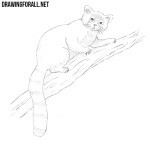 Sketch the outlines of the mask, ears, sharp whiskers, triangular nose and mouth. In this step we finish drawing the head of the raccoon. Use short strokes to draw hair on the side of the head. By clear lines draw out the outline of the details of the face. 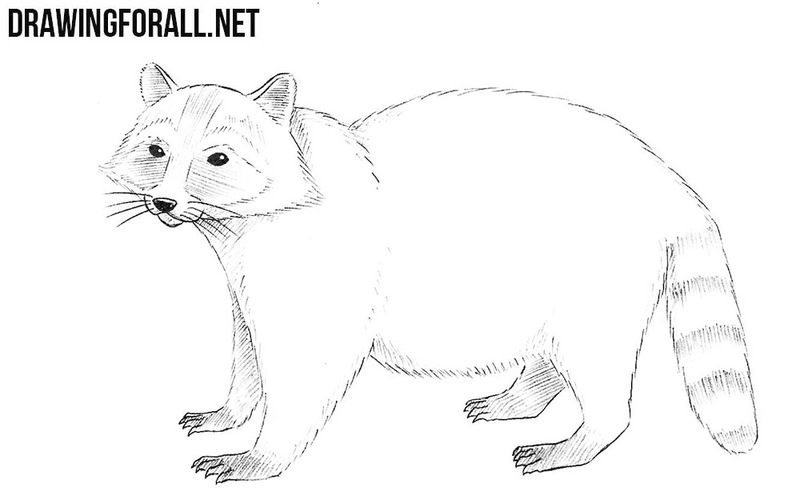 We continue the lesson on how to draw a raccoon. 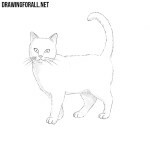 In this extremely simple step, we draw out the front paws with small, sharp claws. 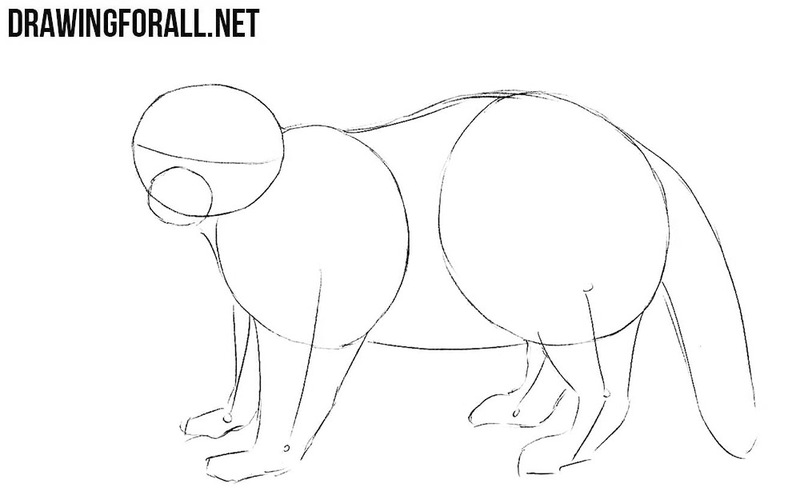 Continuing the lines from the step number five, draw out the rounded torso and the rear legs of the raccoon. 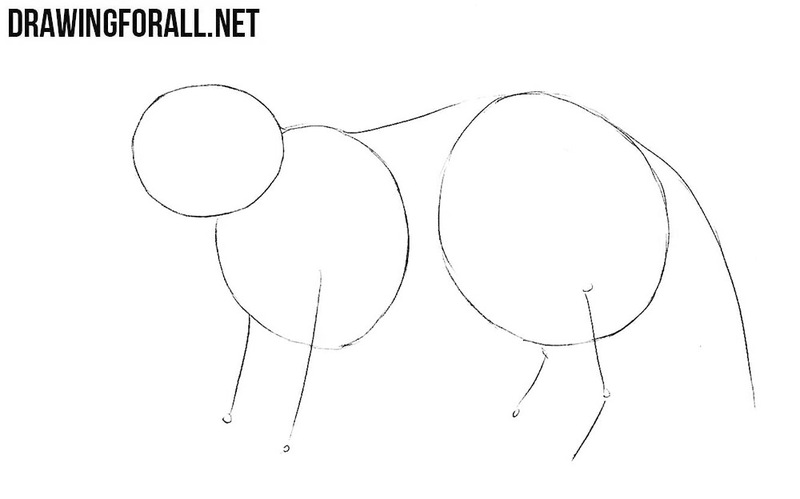 Draw the tail and delete all unnecessary guidelines. It’s time for the final touches. Paint out the nose and eyes of our cute raccoon. Draw shadows by hatching, gradually giving the raccoon a volume. This rather realistic drawing we divided into many very simple steps, which we drew with simple geometric shapes. 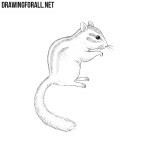 This is done in order to achieve the greatest visualization of the drawing process, so that even a novice artist can learn how to draw a raccoon. 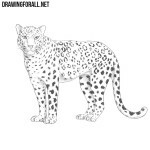 Another important information for beginning artists is that almost all mammals are drawn in about the same way, so using basic principle of this lesson you can draw not only a raccoon, but also a dog, a panther or even an elephant.